Golisano Children's Hospital of Southwest Florida Event Honors Young Organ Donor - LifeLink Foundation, Inc.
On January 18th, Golisano Children’s Hospital of Southwest Florida, in partnership with LifeLink® of Florida, held a Donate Life flagpole dedication ceremony honoring pediatric organ donor Kamden Gabrick. Kamden was three-years-old when his life was tragically cut short in September 2018. Amidst overwhelming grief from the sudden death of their young son, Kamden’s parents still chose LIFE for others by allowing Kamden to become an organ donor. This selfless decision resulted in three lives saved through the donation of both Kamden’s kidneys and his liver. During the time of donation, Kamden’s family participated in a Donate Life flagraising ceremony to honor the Gifts of Life that would result from Kamden’s organ donation. 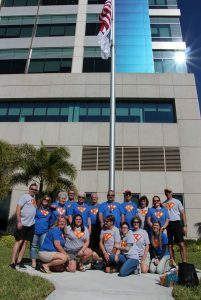 Though Kamden passed away at Golisono Children’s Hospital of Southwest Florida, the flagraising ceremony was held at nearby affiliate hospital Health Park Medical Center due to there being no flagpole on the Golisano hospital campus at the time. 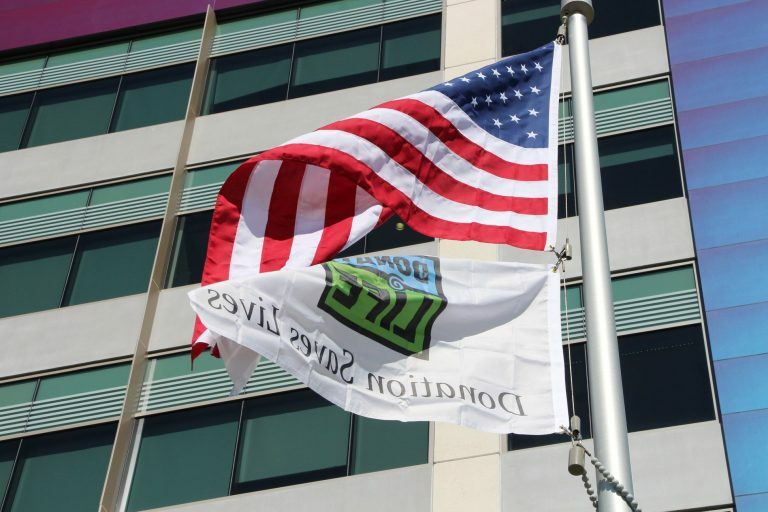 As a result, following their donation experience, the Gabrick’s family and friends rallied together to help Golisano Children’s Hospital acquire their own flagpole so that future donor families could honor their loved ones through similar Donate Life flagraising ceremonies, without having to travel to another hospital location in order to do so. Working in conjunction with the hospital, Kamden’s friends and family raised enough funds to have a brand new flagpole installed onsite. 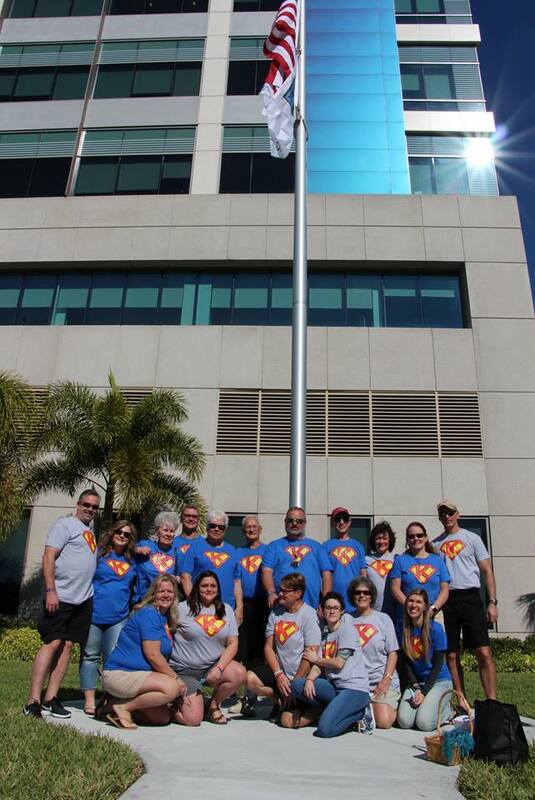 During the dedication ceremony of this new flagpole, honoring Kamden’s legacy of life through donation, LifeLink of Florida and Golisano Children’s Hospital of Southwest Florida presented the Gabrick family with a plaque matching another one on display – directly in front of the new flagpole. Many representatives of the Golisano hospital team, along with several of Kamden’s friends and family, were in attendance at the ceremony and shared fond memories of Kamden, a heroic little boy whose legacy lives on in the lives he saved through organ donation. Click here to view inspirational photos captured from the event and read “Top 10 Kam-Isms” via the LifeLink of Florida Facebook page.